IRADA Micro Finance Company LTD. Building 2 – Block 3 Alshati – Aljamaa Street West of Khartoum. IRADA Microfinance Company to be one of tenth biggest Microfinance institution in the world. 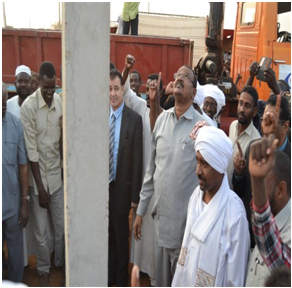 Contribution in sustainable economic and development for low income and economically active people in Sudan through outstanding performance in the field of Islamic Microfinance within a fair partnership with various partners. Productive families: Average beneficiaries per one family around 5 members. Solidarity groups: Members of the solidarity groups have a common denominator such as an area inhabited or field of activity or such other. Productive associations: Often it show the same productive activity need to support its productions. Dealers: It is an existing institution and they have the competencies acting on behalf of IRADA in the provision of its services to a certain groups in the context of dealership or Mudarabah. This project financed through Mudaraba mode. The project aimed to generate economic opportunities to Sudanese’s graduates & low income people; population segment; through empowering 125uate & their families in modern agricultural sector and also through smart finance products. Project consist of 25 productive greenhouses, each greenhouse contains 5 tunnels. This project financed through Salam module. The project aimed to generate economic opportunities to families in the rural sector & low income people; population segment; through empowering 150 family in traditional agricultural sector and also through smart finance products. 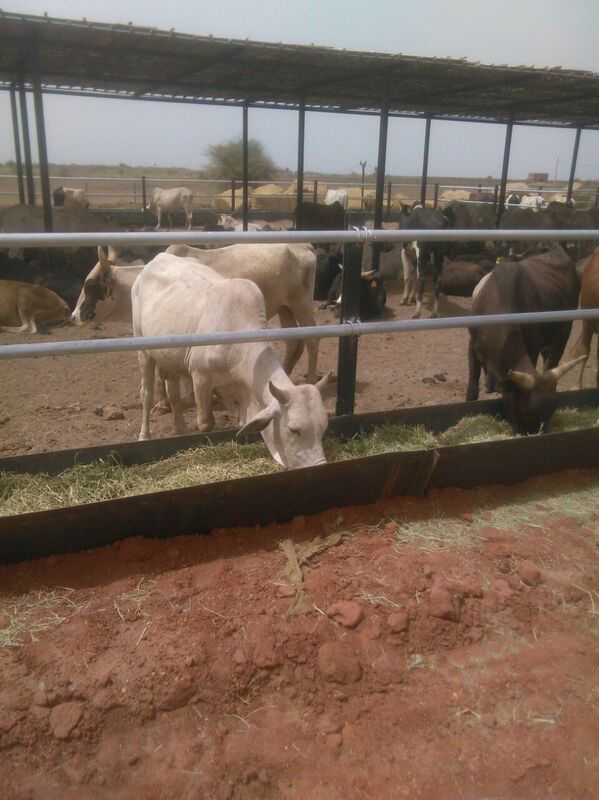 This project contains several finance products designed to meet project main goals, IRADA designed Diminishing Musharka finance with Wad-Ballal Company to prepare fattening environment (Assets infrastructure & part of operational expenses); Murabaha Finance with Wad-Ballal Association / project beneficiaries to provide cattle. The project targets 100 families & their members through provision on financial services (credit, saving) and non-financial services (training, capacity building, marketing & management principles). Looking for diversification & development of projects implemented through microfinance polices, this project represents the first projects mainly introduced to develop the social support & services sector in the country. Electricity Connection Projects directly targets citizens in different places around the country. Through agreement with Ministry of finance IRADA designed Mugawala product to finance such projects. Press Pay to complete the payment, a pop-up appears to confirm successful payment details along with SMS on your registered mobile number. Individual finance for existing projects: This finance is offered to the projects that pass more than 6 months from establishment and it is considered as small developmental finance. Individual finance to establish new projects: This finance is offered to the customers who want to establish new income generation projects after they undergo training specialist courses accredited by IRADA and they show the project study they want to establish. Financing individual groups for existing projects: This finance is provided to individuals, but in the context of the group, individuals are responsible for the repayments. Targeted projects are small development projects, term and conditions of finance for each individual in the group is applied as the same general conditions for individual finance for existing projects, however, that the total amount of funding ranges from SDG 9,000 to 200,000 for the group. Finance limit for each individual in the group should not exceed 20,000 SDG, and each individual group contents from 3 – 10 individual at max. Financing individual groups to establish new projects: This finance is provided to individuals, but in the context of the group, individuals are responsible for the repayments. Targeted projects are very small development projects, term and conditions of finance for each individual in the group is applied as the same general conditions for individual finance to establish new projects, however, that the total amount of funding ranges from SDG 9,000 to 200,000 for the group. Finance limit for each individual in the group should not exceed 20,000 SDG, and each individual group contents from 3 – 10 individual at max. Financing solidarity groups: It is a group of people united by one geographical scope or may share a work of one activity and are committed to their responsibility in solidarity as individuals in the repayment of financing provided to them. Branch officers of IRADA are supervising the composition of these groups, members of the group are range from 4 – 10 and the solidarity is nominate one person to be the leader how is responsible to receive the finance, repayments and provide reports. Usually these solidarities are associated to agricultural activity. Financing associations and cooperative unions: It is a group of people lie under the organization registered legally and has an administrative and organizational structure that fits the management of microfinance operations and has three officers of the association who are responsible of receipt the finance and repayment. Members receive a very small finance commensurate with the cost of the project under the association umbrella or the union. Financing the engineered projects: Are the projects that financed depending on the design of business products and services of IRADA, in which each of the operational and financial aspects, administrative and field follow-up are of paramount importance. These type of finance are aimed mainly the productive projects that require continuous follow-up and provide inputs of human, financial and material resources in a timely manner as the yields of the project is considered as the main source repayments. Financing agencies and microfinance institutions: Financing microfinance agencies aims to facilitate access to funding service segments that are unable to access the service in remote and rural areas with economic activities as it opens new market opportunities for IRADA. The agency serves as the mediator in microfinance is a third party enters the microfinance cycle in one of the types of financial products. Agencies include organizations, community base organizations, unions, business names, and companies working in the field of microfinance and microfinance institutions. Social Finance (consumer): Financing individuals only (goods / cover over-expenditures medical treatment or education), or the needy population groups for a public services and training individuals for production. Social finance can be use to purchase of consumer goods and meet certain academic needs, educational, health and financing compensated for the lack of wages and savings of microfinance client, and this type of financing leads to the increased purchasing capacity of the clients and high limit consumer level they have.